I know this is not the most architecturally significant structure but it will soon be gone so I’ve taken this photo for posterity. Work started this week on upgrading the permissive footpath running along the bottom of Newton Wood. 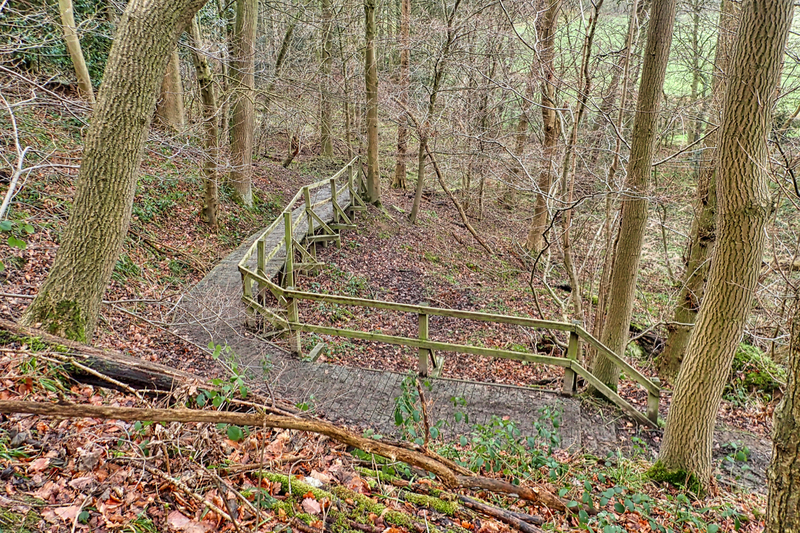 The two sections of wooden boardwalk, which at least twenty-one years old, will be replaced by a raised path. It will certainly lead to a less muddy journey but I do have a reservation in that upgrading the path will make it more suitable for cycling which could lead to conflict between walkers and cyclists. And horse-riders for that matter. So I hope the National Trust issue clear guidelines whether cyclists and horse-riders are permitted to use the path.